Tomorrow night 26 countries take part in the Grand Final of the Eurovision Song Contest 2018. Six automatic qualifiers. Twenty semi-final winners. But tomorrow night only one of them will walk away with the crystal trophy and the right for their country to host the Eurovision Song Contest 2019. And now we want to know who you think should win the Grand Final. You can vote for as many of the 26 competing acts as you like, but you can only vote once. And you have just over twenty-four hours to get your votes in. This is a flash poll and your favourites need your support. So whether you’re backing one of the Big 5, or one of the big favourites, make your vote count. The countries are listed in the order they’ll perform on the night of the Grand Final. WHO SHOULD WIN THE GRAND FINAL OF EUROVISION 2018? The poll will close at 16:00CET tomorrow. Tomorrow night’s winner will follow in the footsteps of Salvador Sobral. He won the contest with the highest total of points in Eurovision history. It is a high benchmark, but we have high quality performs on our hands too. In the videos below you can see how the team reacted to the semi-final qualifiers. The first qualifiers were: Albania, Czech Republic, Lithuania, Israel, Estonia, Bulgaria, Austria, Finland, Ireland and Cyprus. 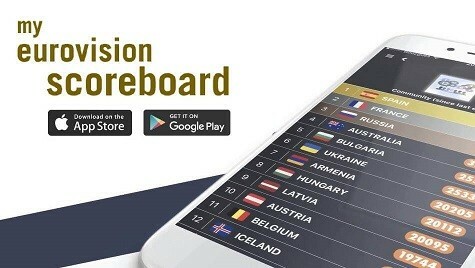 The second qualifiers were: Norway, Serbia, Denmark, Moldova, Netherlands, Australia, Hungary, Sweden, Slovenia and Ukraine. They’ll join Portugal, France, Germany, Italy, Spain and the United Kingdom tomorrow night. Make sure to let us know who your favourites are in the comments below. Can’t Salvador win once again for God’s sake? I love the Lisbon grooves! All songs are pretty crap, except The Netherlands. Others are fade, just awful. Waste of time watching this programme. melovinnnnn ukraine for ever ???????? I wish the winner will have some good message in the lyrics. Please vote for such a song, there’s some options 🙂 I don’t list any of them as choice is yours 🙂 I have one favorite among them. Sorry, no bots, just fans from Finland who decided to show their support for Saara! lol lots love from the “bots” ! Not just from Finland, I voted for Saara from Italy. She is amazing! Even though my favourite is Ukraine and I hope that he wins, but I still think that he doesn’t place that high. With good luck he can finish in top 10. Finland and Ukraine are up by the bots. I hope bots vote for you in the grand final, too! Poland sounded great? Are you guys deaf? Can’t take this poll serious anymore. Ukraine was quite behind and now it’s suddenly 2nd, must be bots. The poll is infested with ukrainians.. thats why it happend before with spain winning a poll of a fav act… and belarus winning a poll of a fav act (after aleekseev posted one of wiwibloggs polls in his instagram)… but the same thing happens every year… nor ukranians and spanish people can vote for themselfs in the contest leading it that ukraine and spain will finish around the 20th spot tonight regardless to this poll…. Seems that this poll was hijacked by bots. Finland, Saara Aalto & Monsters ? Ukraine is a total sh*t. Only Bots from Ukraine are voting for this sh*t. Last place for Ukraine. Only Cyprus deserve to win. All other songs are pure sh*t that should be banned. Sorry for you- I quess you are 8-9 year old Am I correct ? Honestly, I have no idea!! I’m rooting for Cyprus and France. We may see a surprise tonight, I have a feeling. I’d confidently root for hungarian dark horses, but the staging part was probably just skipped by their delegation. To be fair that’s cheap coming from someone that didn’t even manage to qualify to the final and didn’t put any effort at all in her performance. I hate Spain thanks for far Spanish producer and Portugal thanks to no taste sick Sobral. It’s not like Portugese and Spanish song writers and singers had anything to do with them, chill out, there are a**holes in every nation. Germany, Hungary, Ireland, Lithuania, Netherlands, Israel, France, Italy, Bulgaria, Austria. ITALY and ESTONIA have the Final day momentum in the Top 10, how for up will they go? ITALY moves from 7th to 6th and ESTONIA from 10th to 9th. LITHUANIA now up to 7th from 8th, GERMANY now down from 6th to 8th. CYPRUS now on a slight drift as ISRAEL shortens slightly. The blues are ISRAEL, ITALY and ESTONIA ALL the others in the Top 10 of the betting going pink now. The 50/1 on ESTONIA has already gone PDQ, you can still get 40/1. Maybe because Sweden might get a lot of 8th and 10th it might in this kind of complicated year end up as the winner. I hope not, but it really could happen that way. What do you think? Will win what ?? The lotery ??? I hope people will recognize the beauty of Portugal entry even if it won last year. Best magical song.